Tambrauw is located between the regencies of Manokwari and Sorong. Most of its land is still covered by pristine tropical rainforest that is home to a lot of species of plants and animals. As a tourist guide, I have organized numerous tours for visitors who want to explore the wealth of bio-diversity of the rainforest of Tambrauw. 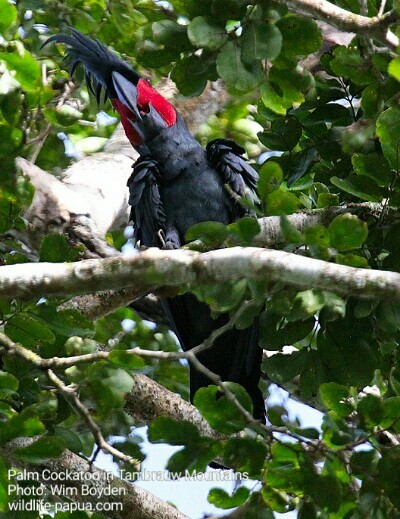 Birding and wildlife watching tours can be carried out in lowland and hill forest to watch birds of paradise, deer, soa-soa lizards, cuscus possum and bandicoot. The duration of the tour could be as short as 4 days/ 3 nights to as long as 1 to 2 weeks. During the tour, I, and some villagers, will organize day walks and night walks in the forest and along the sides of a river. Since there are no hotels or guesthouses in the forest, visitors will stay in tents that we build at the banks of the river. We provide tents, cooking and eating utensils so that our visitors do not have to bring heavy equipment for the tour. Please, consider this itinerary as a reference only, we could customize the tour according to the number of days visitors want to spend in the forest and the destination in the mountains. We will meet you in Sorong city and organize your trip Tambrauw mountains by a 4WD car. It takes approximately 3 hours to reach our destination. We shall continue our trip on foot into the jungle. Local villagers will help carry our bags and food materials as well as camping device. After reaching a distance of around 500 meters from the main road, we will build our first tents at the bank of a river. While local guides and villagers build tents, boil water for our tea or coffee, visitors can enjoy swimming in the river or do some walks in the forest to watch birds and see unique plants that grow in the surrounding area. 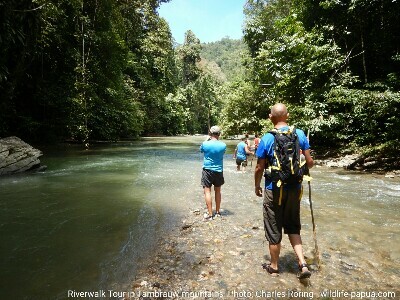 After watching paradise birds, we will walk back to our basecamp to have lunch. 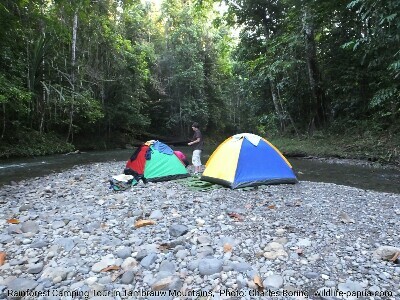 At approximately 11.00 local time, we will dismantle our tents and continue our expedition into deeper forest area. It takes around 2 hours of walk to reach second camping ground. While villagers build tents and boil water for making tea or coffee, visitors could enjoy swimming in the river or do birding and wildlife watching in the surrounding forest. After breakfast, we will continue our trip to deeper area of the forest where we will explore more wildlife of Tambrauw mountains. There are wild flowers especially orchids that grow both on he ground and in trees. There are also birds such as King Bird of Paradise, Grey Crow, Black-capped Lory, Egret and Hooded Butcherbird that we can watch. We will do night walk again to find nocturnal animals in the forest. In the morning, birds are very active. We can watch them from our tents at the the riverside. After breakfast, we will dismantle our tents and do birding walk slowly back to main road. We will arrive around in the afternoon. For more information, please, contact me (Charles Roring) by email to: peace4wp@gmail.com or by whatsapp to: +6281332245180.